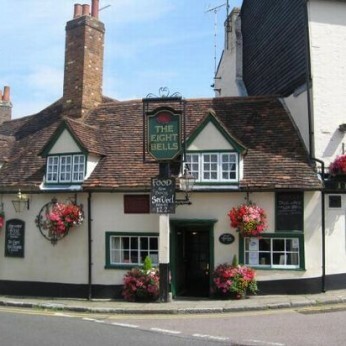 A historical pub filled with history that serve real ales, beer and wines. Food available daily. Charles Dickens stayed at this inn on 27th December 1838 and is widely acknowledged as the inn to which Bill Sikes returned to after murdering his mistress, Nancy, suspecting that she is a police informant, from the infamous 'Oliver Twist' novel. The Eight Bells is becoming increasingly well known for the music that is regularly provided as entertainment and people are travelling from a distance just to be part of the experience. On the first Tuesday of every month and the third Tuesday The Eight Bells host a Open Mic night where anybody who likes to hear new artists or wants to join in and come along. A second Open Mic night has started out as its become so popular, for more information like for updates and the dates of theses exciting nights. Live music can also be seen on a monthly basis. Various genres are catered for including Ska, Tributes, Sixties & Seventies and recently we had a Rockabilly band which was extremely popular! If you would like to join us for our upcoming events or have a lovely home cooked lunch. Give us a call of message us via this Facebook page.